German independent software vendors Lesspain Software and Archiware announced a partnership today. It will feature a tight integration of Lesspain’s Workflow and Media Management tool Kyno with Archiware’s P5 Archive, starting with the upcoming release 1.7 of Kyno's Premium Edition. “Archiware is a natural partner for us. P5 is by far the most trusted archive solution in our target market. Kyno and P5 Archive are the perfect complement. Together they give professionals who work with digital media a compact, robust and simple end-to-end solution from camera to disk to edit to archive” says Robert Krüger, managing partner at Lesspain. “We saw Kyno as an ideal complement for P5. It offers powerful media management and workflow support for online storage. P5 adds powerful browsing, searching and storage management for offline storage. Both are affordable and easy-to-install to get users up and running in 5 minutes.” says Dr. Marc Batschkus, Business Development Manager of Archiware. Kyno by Lesspain Software is a Media Management App. It is used by professionals in the media, entertainment & non-media industry. Kyno is a media storage browser, player, logging, offloading and metadata tool, multi-purpose production assistant, file organiser and converter. It has an easy to learn and simple to use interface that works cross-platform on macOS & Windows. Integration with Final Cut Pro, Adobe Premiere Pro and DaVinci Resolve is built-in. Archiving is triggered from the Kyno interface. 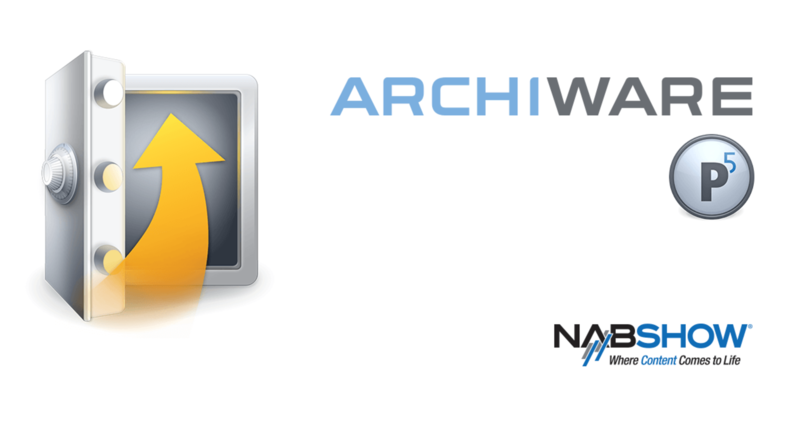 Archiware P5 Archive is a powerful archiving tool that migrates files offline. This saves fast but costly online storage. Archive storage can be LTO tape, cloud or disk. When combined with LTO tape, P5 Archive unleashes its full potential, offering features such as tape cloning to create a second copy for safe, offsite storage and air gap protection. Drive parallelisation allows maximum throughput. Kyno ́s integration with P5 Archive creates a solution with outstanding power and simplicity. Online and offline storage can now be used in production with similar ease of use. Finalised productions can migrate to the long-term archive from within the Kyno interface. Archive can be on either disk, tape or cloud storage. This makes LTO tape, the most economic storage for long-term archive, available from Kyno. All completed productions are kept safe and in reach for re-use, reference and monetisation of any kind. Customisable metadata fields and menus of P5 Archive can be used to build an individual metadata schema for specific searches. Thumbnails and proxy clips support visual browsing of all archived media. The solution will be demonstrated at NAB 2019 and brought to market in the weeks following the show. Find out more on the Kyno & Archiware solutions page.